But as you may already know, this federal shift to cloud storage is not really a new development. There has been an OMB issued “cloud first” policy mandate since August 2016. What is new and notable however, is the current levels of review of the United States’ information systems for vulnerabilities, which is causing a healthy spike in already high forecasts for cloud and hybrid cloud migration/storage solutions. This EO also empowers federal agencies to assist U.S. businesses that support infrastructure of utilities, financial, healthcare and telco networks. Research across the industry supports that federal IT professionals have, are in the process of, or are planning an imminent move to the cloud. Gartner’s survey of federal IT managers revealed that 75% were planning a move to a hybrid cloud solution in 2017. IDC estimates the cloud market within the U.S. federal sector to increase to $9 billion in 2017, and Gartner projected spending in public cloud services to reach nearly $247 billion in 2017, and $383 billion by 2020. As high as these projections are, this research was conducted and published before the election, and before the President’ rededication of federal funds to accomplish this goal. This cloud first policy is now in full-swing, and these spending forecasts may need to be adjusted – up! This presents a ridiculously lucrative business opportunity for government sector IT solutions and services providers and MSPs. But lets not get ahead of ourselves. Before you can take advantage of all the public cloud has to offer – you have to get there. Too many deals have been lost or cloud initiatives shelved almost before they have started, because of an inability to migrate the data accurately, within the allotted timeframe, and on budget. Or, for those that were able to move most of the necessary data with minimal stops and starts, almost within the planned window, and on budget – well, not too far over… get to the cloud only to realize they do not have the tools they require to adhere to internal governance and SLAs, nor to compliance regulations and/or legal eDiscovery mandates. And, in the government sector, utilities, financial, healthcare and telco these mandates are strict, and becoming stricter and more complicated seemingly every day. Here’s where the truly savvy solutions or services provider, or MSP, can break away and lead the pack, grabbing a healthy piece of the pie. First, seek a comprehensive solution to address the discovery, collection and migration of data, no matter where it resides. The solution should deliver the ability to migrate all data at high speed, while maintaining 100% data fidelity and chain of custody. Next, select a solution that is specifically designed for long-term archiving of all data – including compliance and legal data, in the cloud. At a minimum, the solution should allow you to meet your regulatory compliance retention requirements at the lowest possible cost. (Here, you will really want to do your homework to truly understand your clients’ internal governance, SLA, regulations compliance and legal requirements.) 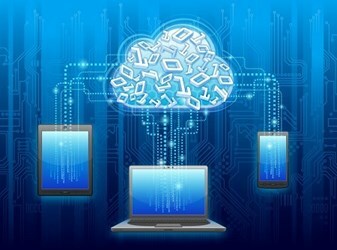 Now that you have all the basic capabilities needed to find, migrate, store, secure, search and manage your data in the cloud, you can really impress your clients by layering-on a solution that provides all the advanced features and functionality needed to address ongoing regulatory compliance and legal (eDiscovery) requirements. Oh, and did I mention that there are solutions that will enable you and/or your clients to do all of this for just pennies per GB per month? The opportunity is ripe. Don’t miss your chance to reap the highly lucrative rewards. Bill Tolson has more than 25 years of experience with multinational corporations and technology start-ups, including 15-plus years in the archiving, ECM, information governance, regulations compliance and legal eDiscovery markets. Prior to joining Archive360, Bill held leadership positions at Actiance, Recommind, Hewlett Packard, Iron Mountain, Mimosa Systems, and StorageTek. Bill is a much sought and frequent speaker at legal, regulatory compliance and information governance industry events and has authored numerous articles and blogs. Bill is the author of two eBooks: “The Know IT All’s Guide to eDiscovery” and “The Bartenders Guide to eDiscovery.” He is also the author of the book “Cloud Archiving for Dummies” and co-author of the book “Email Archiving for Dummies.” Bill holds a Bachelor of Science degree in Business Management from California State University Dominguez Hills.